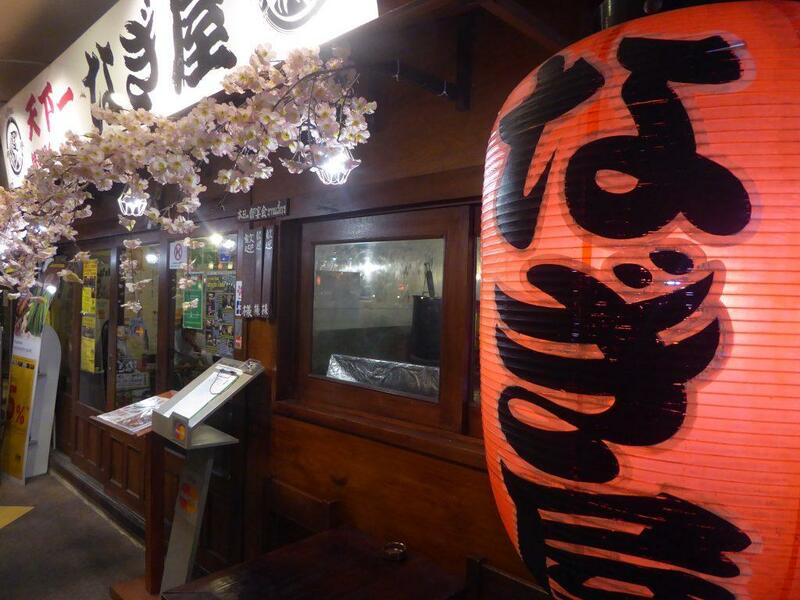 Nihonmachi is a Japanese restaurant village containing more than 20 Japanese restaurants featuring authentic food and décor. Entrance to the village is through a large red arch with the restaurants located in a two-story L shaped block. 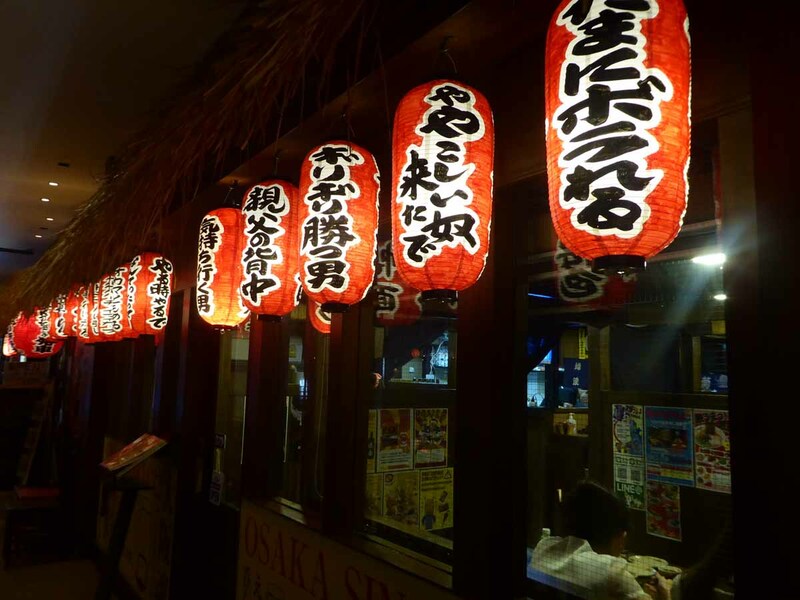 The restaurants are mostly small and specialize in one type of Japanese cuisines such as yakiniku, yakitori, ramen, shabu, sukiyaki, and Izakaya though they all offer a general Japanese menu as well. There is also a Japanese bakery and sweet shop. 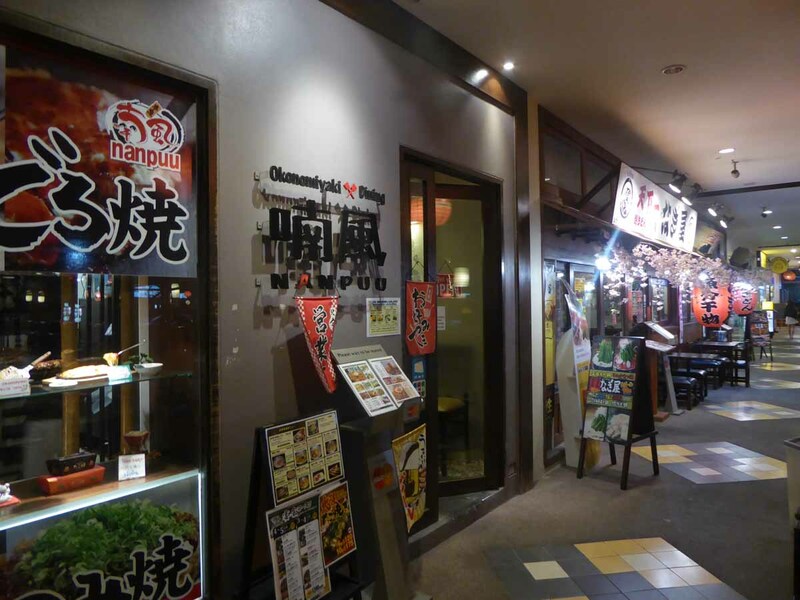 All the restaurants feature authentic Japanese style décor with flags, prints, posters, and the usual red lanterns as well as Japanese style low tables and floor seating though most have some normal tables as well. Japanese beer rules here with Kirin, Asahi, and Sapporo as well as a large selection of sake. 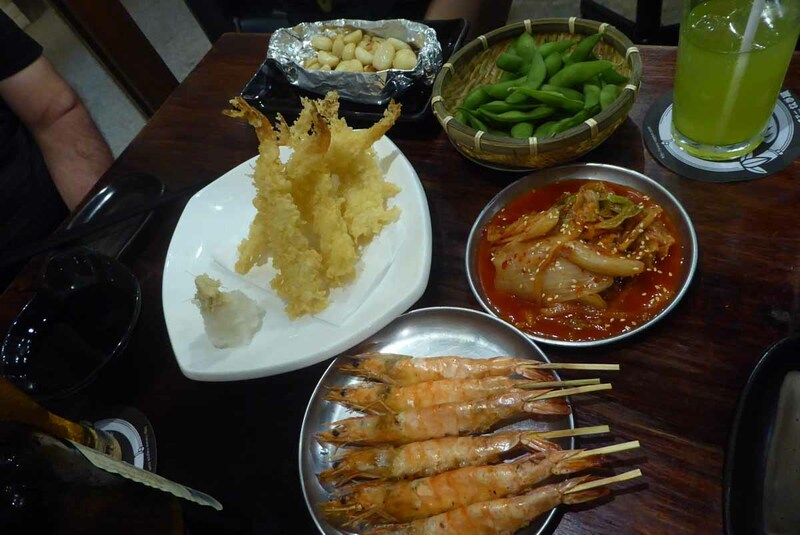 Prices are generally inexpensive unless you order premium imported Japanese meats and seafood or expensive sake. A meal for two ordering a selection of small dishes, grilled skewers and alcohol should come in at around 1000-1200 baht. All the restaurants have menus outside so you can walk around and browse the menus before choosing one. 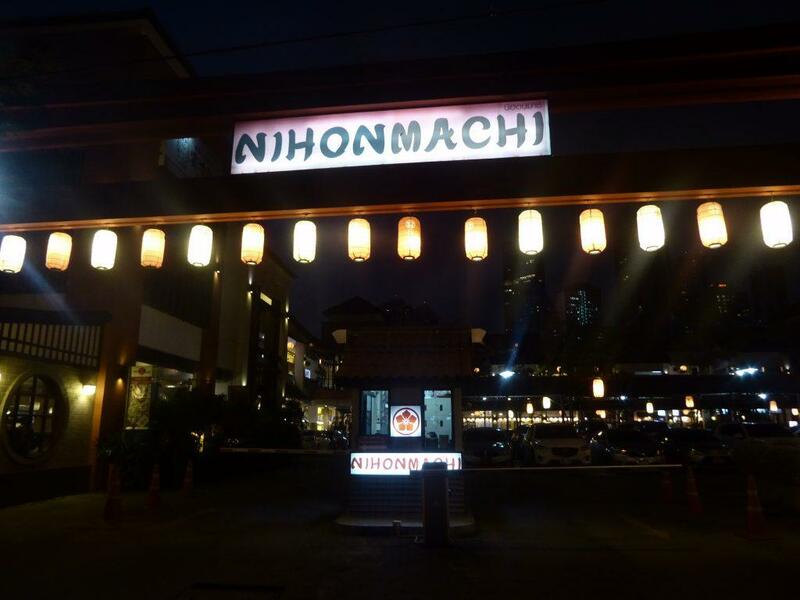 If you like Japanese food and want an authentic experience that feels like you’re in Japan, then head to Nihonmachi. Location: 115 Sukhumvit Soi 26, Bangkok. Getting There: BTS Phrom Phong (exit 2). Walk to Soi 24 and take a taxi down soi 24. Don’t go to soi 26 as it’s a one-way traffic system. Heiroku Sushi is a Japanese chain of conveyor belt style sushi bars that are popular in Japan and have now opened two branches in Bangkok at Central World and Central Plaza Rama 9. The large colorful menu contains pictures of everything on offer grouped into price categories ranging from 29 baht to 299 baht. 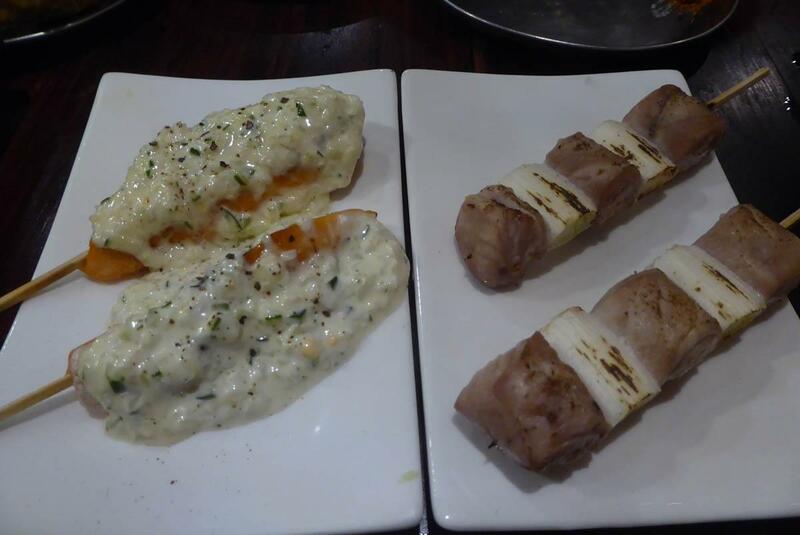 The main part of the menu is a large variety of sushi which is served as two pieces. 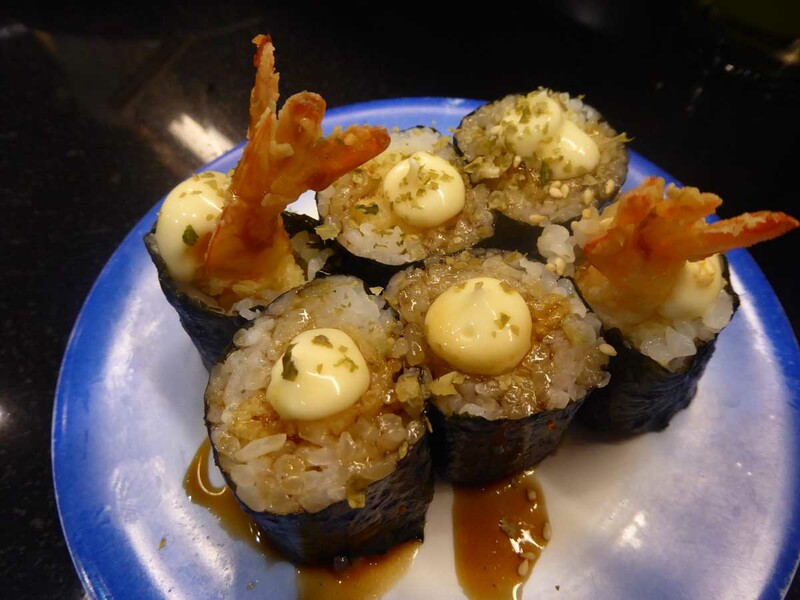 Also on the extensive menu is sashimi, tempura, grilled meat and fish, takoyaki and more. You can order a la carte from the menu or take a dish from the conveyor belt. The color of the plate signifies the price. At the end of your meal, the waitress will add up the bill per the number of plates in each color you have consumed. There is free green tea (normal or sugar-free) and wasabi and soy sauce are free. Location: 7th floor Central World / 7th floor Central Plaza Rama 9.